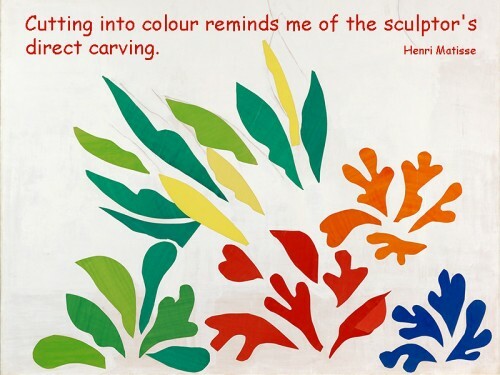 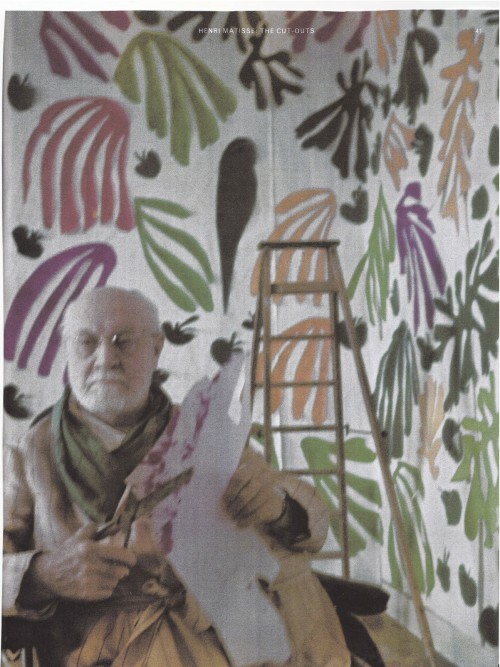 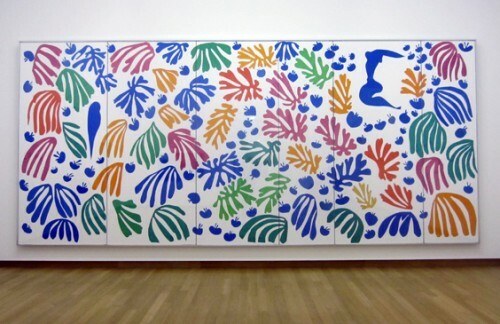 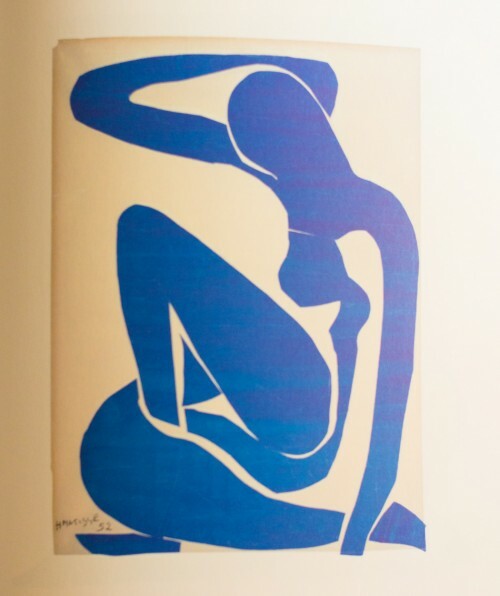 I’ve always admired the art work of Henri Matisse. 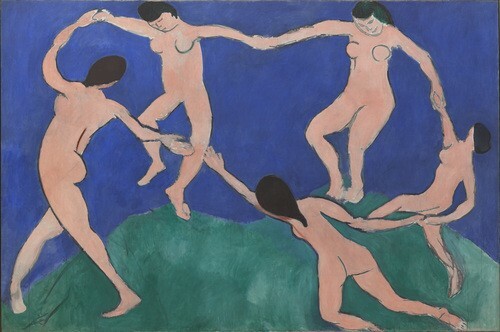 When I was young there was an art book on our living room coffee table with Matisse’s The Dance on the cover and that image has always stayed with me. 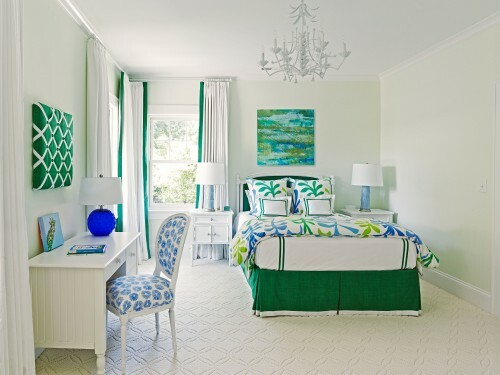 When I was working on the bedroom below, I was looking for a light blue and green fabric. 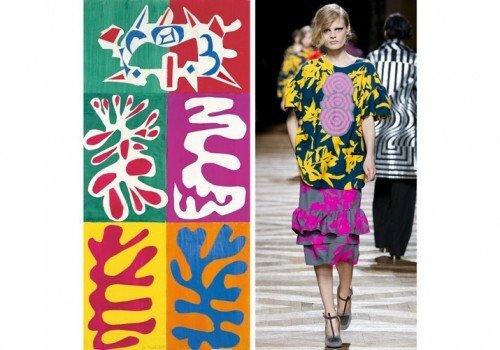 Ode to Matisse by Lulu DK for Schumacher seemed to be the perfect fit. 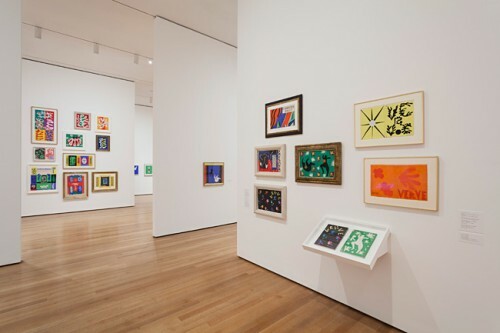 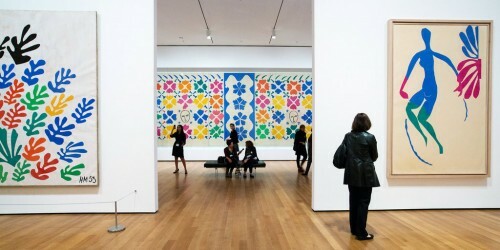 A few months ago I went with my dad and one of my boys to see the Matisse cutouts at the MOMA, which was a fantastic exhibition. 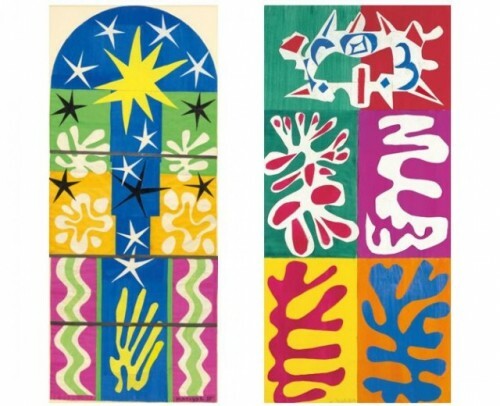 The Bechtler Museum in Charlotte, NC currently has an exhibit The Art Books of Henri Matisse, which I recently visited. 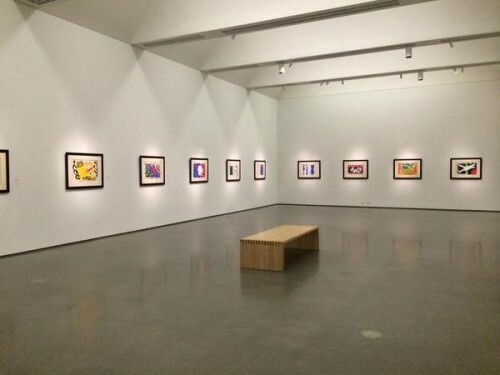 Eighty of his original illustrations are framed, and it also includes some text from a few of his books. 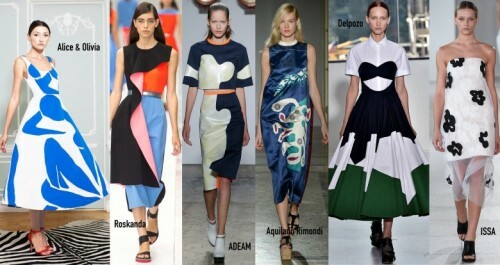 The fashion world seems to like the cutouts as well. 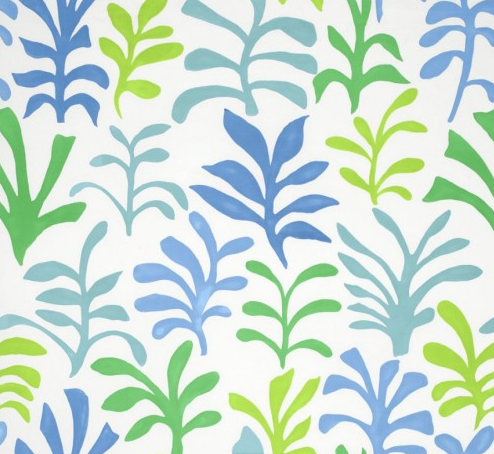 My friend Courtney Barnes is a fantastic writer at her blog Style Court. 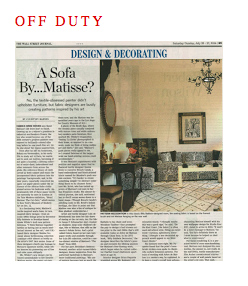 She wrote an article last summer for the Off-Duty Section of the WSJ about the Matisse Cut- Outs. 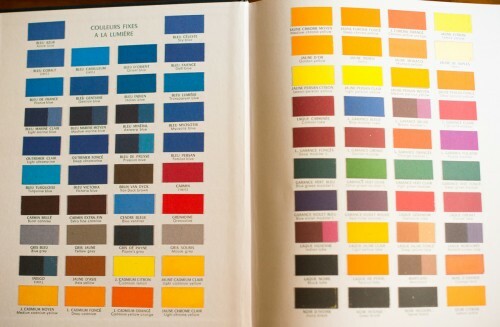 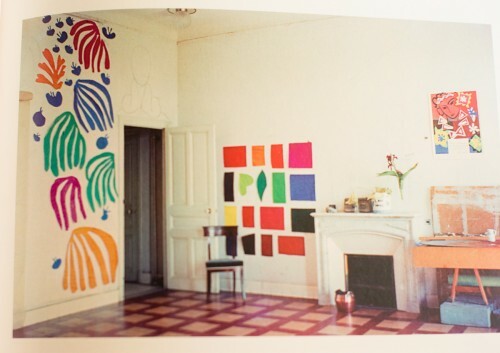 I love seeing these vintage photographs of his work and his use of color.